﻿ Can a Flying Squirrel actually fly? Can a Flying Squirrel actually fly? Northern flying squirrels cannot actually fly, despite their name. They are not able to literally fly like birds or bats. What they actually do is glide. The flying squirrels have membranes that can help them glide through the air so that they can jump between trees. Whenever they want to travel, they don’t have to touch the ground. This is why they seem to be flying. They can launch themselves and jump high from branch to branch by spreading their limbs so that they can glide. When it is spread, you can see the membranes. They use their legs to steer their moves. The tail is the brake they can use when they want to stop. They have an impressively high level of jumping ability. Within a single glide, flying squirrels can accelerate over distances of up to 150 feet! The southern flying squirrels are a small size of 10 inches long whilst the northern species is 12 inches long. To answer the question of whether these flying squirrels can fly, the answer is obvious that they cannot. The name itself is driven from the fact that they look like they are flying when they are actually gliding. These squirrels have woodlands as their typical habitat. They use boxes, woodpecker holes, abandoned spaces and many other nests to keep them warm, especially in the cold months of winter. This animal can be found in the United State on the East Coast from Maine to Florida as well as in Texas and Minnesota. The Western U.S. can spot these type of squirrels in Montana and Idaho. 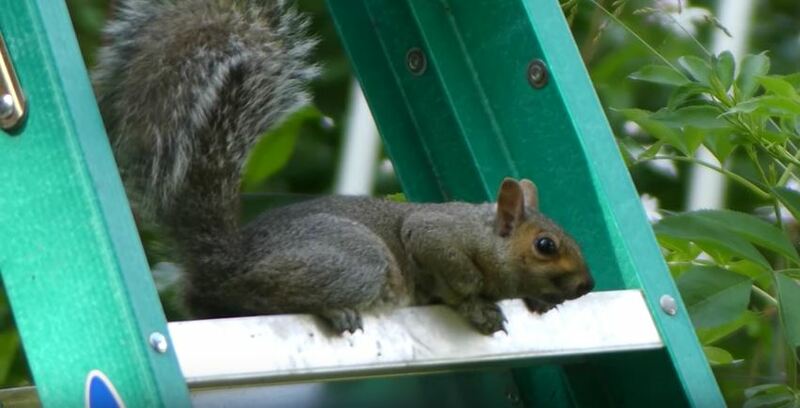 The gliding ability helps the squirrels protect themselves as it makes it harder to catch them, especially when they maneuver around. As a common rodent, the squirrels are nocturnal and people rarely see them during the day. They avoid human attention by being most active during the night. When humans do spot them in their home or in nature, they are often frightened by their apparent flying ability. Still humans should be careful not to injure or kill them because they are an endangered species mainly due to habitat loss. Go back to the How to Get Rid of Flying Squirrels page or email us if you have any other questions about Can a Flying Squirrel actually fly?